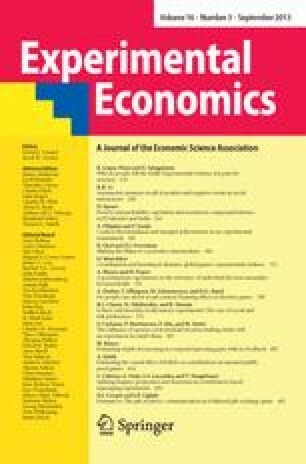 Objective: To use meta-analysis techniques to assess the impact of various factors on the extent of cooperation in standard linear public goods experiments using the voluntary contributions mechanism. Data Sources: Potentially relevant experiments were identified through searches of EconLit, the Internet Documents in Economics Access Service (IDEAS), and a survey article. Review Methods: A total of 349 potentially relevant studies were identified. Of these, 27 (representing a total of 711 groups of participants) met the inclusion criteria. Data were abstracted from these studies using a standardized protocol. Results were analyzed using weighted ordinary least squares. Average group efficiency was the dependent variable. Results: The marginal per capita return, communication, constant group composition over the session (“partners”), positive framing, and the use of children as subjects had a positive and significant effect (p < 0.05) on the average level of contribution to the public good. Heterogeneous endowments to subjects, experienced participants, and soliciting subjects' beliefs regarding other participants' behaviour prior to the start of the session/period had a negative and significant effect. A number of other factors were not identified as significant. Conclusion: The meta-analysis results parallel several key findings from previous literature reviews. In addition, they offer parameter estimates and an analysis of significance based on the totality of the available research evidence. More consistent reporting of the results of experiments would greatly improve the ability to conduct this type of research.